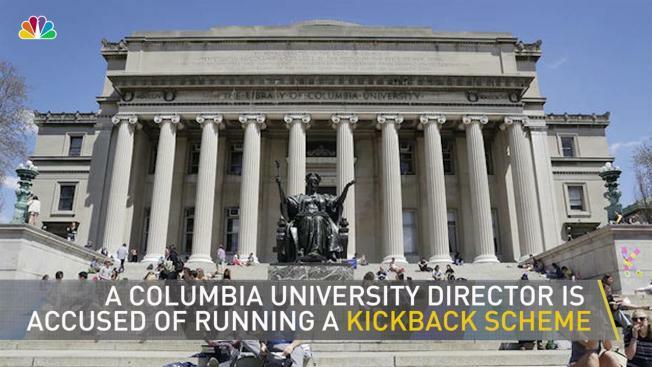 A former administrator at the Columbia University Teachers College and three students have been accused of running a financial aid kickback scheme that funneled more than $800,000 in stipends into their own pockets, according to law enforcement sources and a criminal complaint. Melanie Williams-Bethea -- who sources said was a financial aid director at the Teachers College until 2017 -- was charged with conspiracy, wire fraud, bribery and student aid fraud, according to a criminal complaint unsealed Thursday. Three students, Annice Kpana, Carmen Canty and Kyla Thomas, were also arrested on bribery, conspiracy and fraud charges. All four were cuffed Thursday. The complaint alleges that Williams-Bethea funneled hundreds of thousands of dollars to the three students between 2013 and 2017, inflating their cost-of-attendance figures on forms in years where they weren't enrolled in any courses so they could obtain large stipends. In turn, according to the complaint, they paid her back with kickbacks in tens of thousands of dollars -- sometimes including "love" or "Thank you!" in the memo line of personal checks. The irregularities were discovered by administrators while they were reviewing financial aid disbursement last spring, according to Columbia University Teachers College. An internal investigation traced it all to a single staff member, and the college reported its findings to federal and state authorities. It wasn't immediately clear if the four women had attorneys who could comment on their behalfs. The complaint alleges that Williams-Bethea got more than $350,000 in kickbacks over the course of the scheme. Kpana, meanwhile, took in an additional $300,000, after paying the former administrator. Canty netted about $150,000, while Canty got $35,000 after kickbacks. 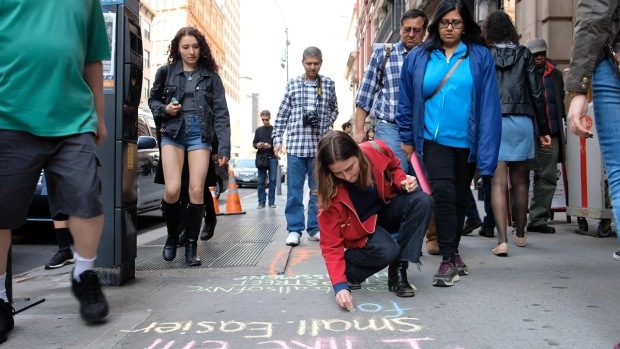 According to the complaint, Kpana, Canty and Thomas were graduate students at Columbia for more than a decade but had not been taking classes since at least 2010. Still, Williams-Bethea approved cost-of-attendance forms for the students for as much as three times above the standard amount a graduate student might claim. The complaint also alleges that the three students were awarded stipends and scholarships from professors and administrators who later told investigators they had no idea who the students were and that the handwriting on forms approved by Williams-Bethea was not theirs.